- stainless steel cabinet with tempered glass viewing window and interior Light. - Bunsen Burner according to ASTM D 5025 standard. 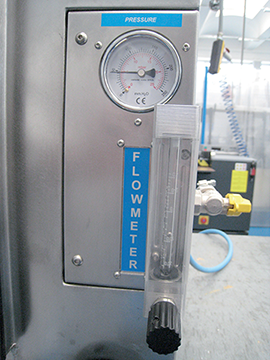 - flow meter for gas flow regulation. - support for flame angle set (0°, 20°, 45°). - slide for the regulation of the position of the flame. 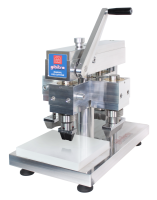 - sample holder according to the standards with sample position regulation. - digital thermometer for the measurement of the temperature of the flame. - digital Timer with 0.1-second resolution for the measurement of test time. - exhaust fan to remove combustion fumes. Specimen support for Horizontal Burning (HB) test conforming to UL 94, ASTM D 635 and equivalent standards. 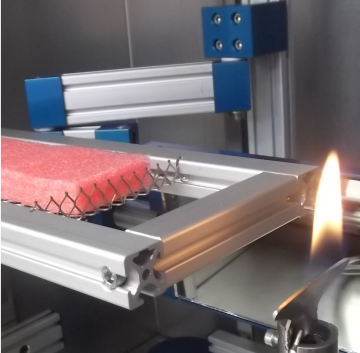 Specimen support for Vertical Burning of Non-rigid Solid Plastics (MVB) test conforming to UL 94 (tests VTM-0, VTM-1 and VTM- 2), ASTM D 4804 and equivalent standards. Specimen support for Vertical Burning of Solid Plastics (VB) test conforming to UL 94 (tests V-0, V-1, V-2, 5VA, 5VB), ASTM D 3801 and equivalent standards. Specimen support for Vertical Burning (VB) test conforming to JAR 25 853 B standard. Calibrator with thermocouple for 20 mm Test Flame according to ASTM D 5207 standard. Stainless steel cabinet with tempered glass viewing window and interior Light. Conforming to ASTM D 5025 standard. With support for flame angle set (0°, 20°, 45°). Digital thermometer for the measurement of the temperature of the flame. Exhaust fan to remove products of combustion. Flow meter for gas flow regulation. Digital Timer with 0.1 sec. Resolution. The timer permits to set the Flame exposition time. At the end of the count down for flame exposition, the timer permits to count flame extinction time. 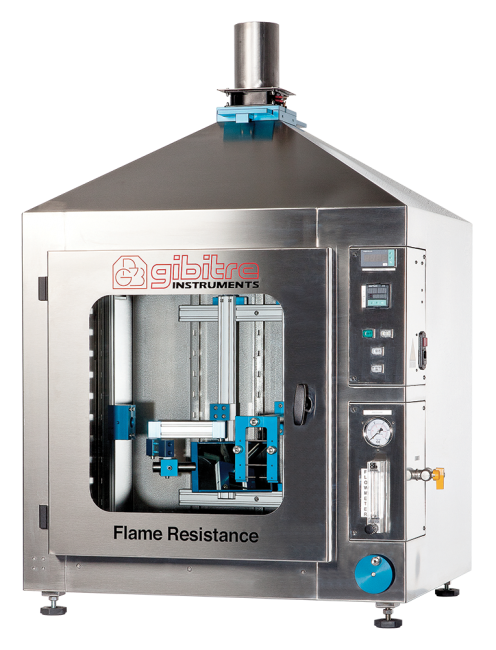 The Slide is controlled by an external handle that permits to move the Burner inside the chamber. 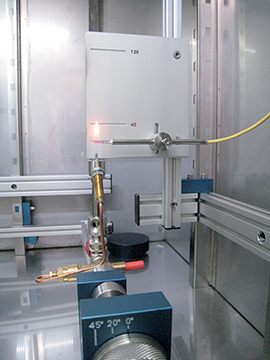 Calibrators with thermocouples for 20 mm Test Flame according to ASTM D 5207 standard.